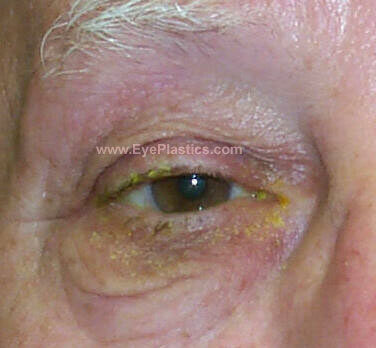 Ptosis (drooping of the eyelid) - may also be called Blepharoptosis. 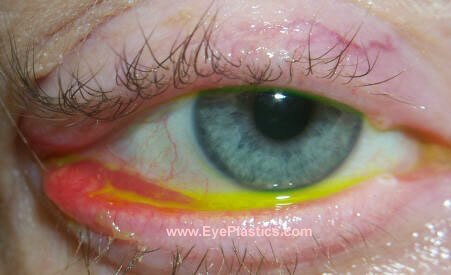 It refers to an eyelid which is droopy. This may possibly cause a loss of vision, especially while reading, headaches, and eyebrow strain. Please click on the Ptosis page for more details. May be due to damage to levator aponeurosis. Must repair primarily.